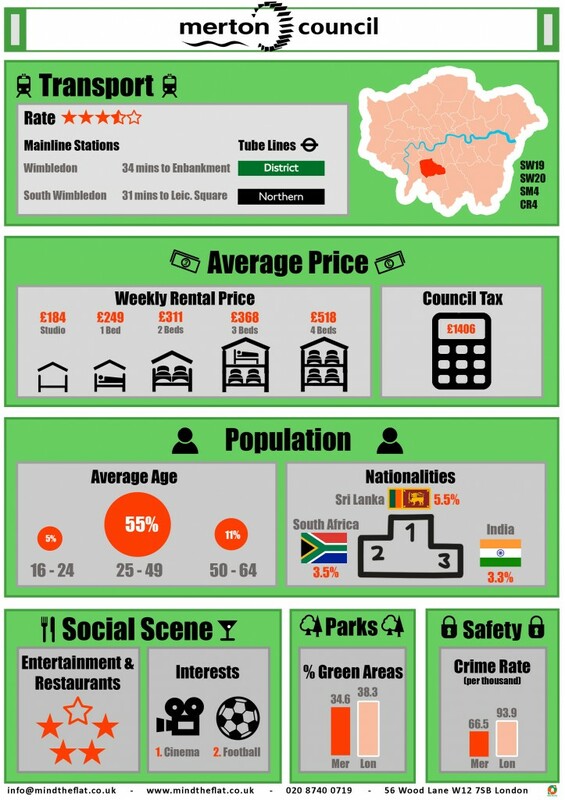 The borough of Merton and includes the areas of Colliers Wood, Merton Park, Wimbledon Park and Wimbledon. Most known for its famous district of Wimbledon and its world tennis tournament in June, it is possibly the oldest and most popular suburb of London. Also, it homes the capital’s largest Common. But Wimbledon is even more than that; outstanding shopping, wonderful local schools, charming pubs, great theaters and good transport links cause families and young professionals to come and live in this precious village vibe. What to visit in Merton? The All England Lawn Tennis Club, the place that hosts the best tennis tournament becomes a museum the rest of the year. Learn to ride at Wimbledon Village Stables, the oldest recorded stable in England. If you are a retail lover, can’t miss these three shopping areas: Wimbledon Village, Wimbledon High Street and the Centre Court Shopping Centre. The area is served by two main underground Lines: the District line (Wimbledon and Wimbledon Park stations) and the Northern line (South Wimbledon station). Sign up with Mind the Flat and find like-minded flatmates willing to share a property in this green and outstanding area!